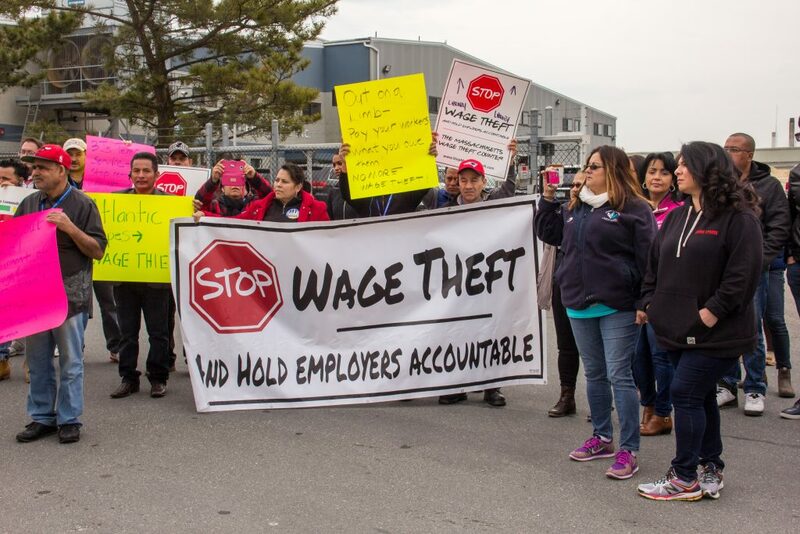 Recently, workers, lawmakers, and activists rallied in New Bedford for a tour of work sites in violation of wage theft laws – Watch the highlights! 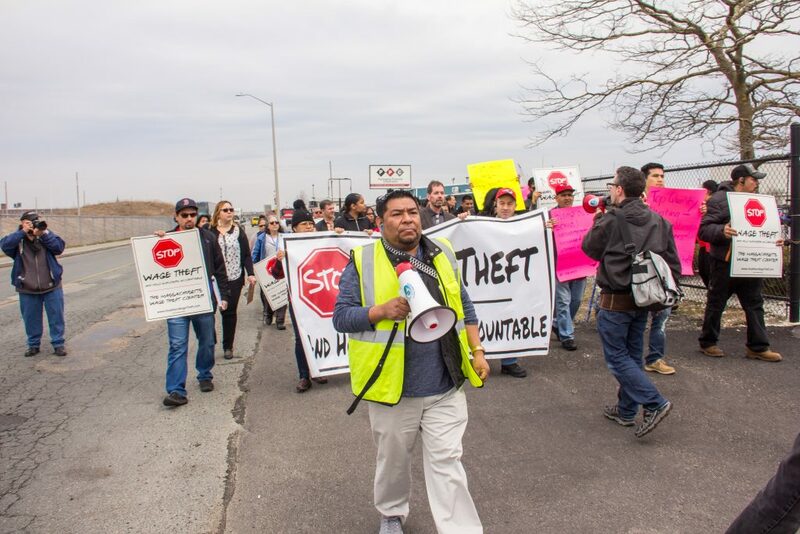 On April 13th local workers, labor activists, and officials gathered in New Bedford for a “mobile rally” which toured area worksites where employers have violated prevailing wage laws and used exploitative practices. 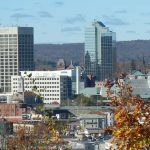 The tour, which was organized by The Good Jobs, Strong Communities Coalition, visited multiple sites in New Bedford and Dartmouth, including a temporary staffing agency for construction sites and a fishing industrial park. 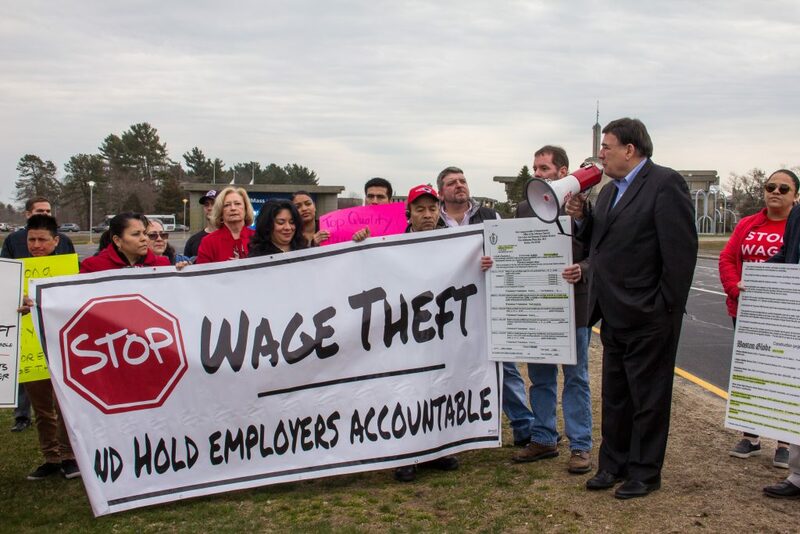 In addition to shedding light on the prominence of wage theft and unethical business practices in the area, participants also rallied to voice their support of both local and state wage theft legislation, including “An Act to Prevent Wage Theft and Promote Employer Accountability,” which is expected to be passed into law by the state legislature this spring. 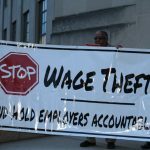 “Wage theft comes in many forms, such as forcing workers to work off the clock, misclassifying employees as independent contractors, writing bad checks, or simply not paying workers,” Isabel Gonzalez-Webster of Community Labor United, told reporters. You can read more about the April 13th wage theft tour here and here.